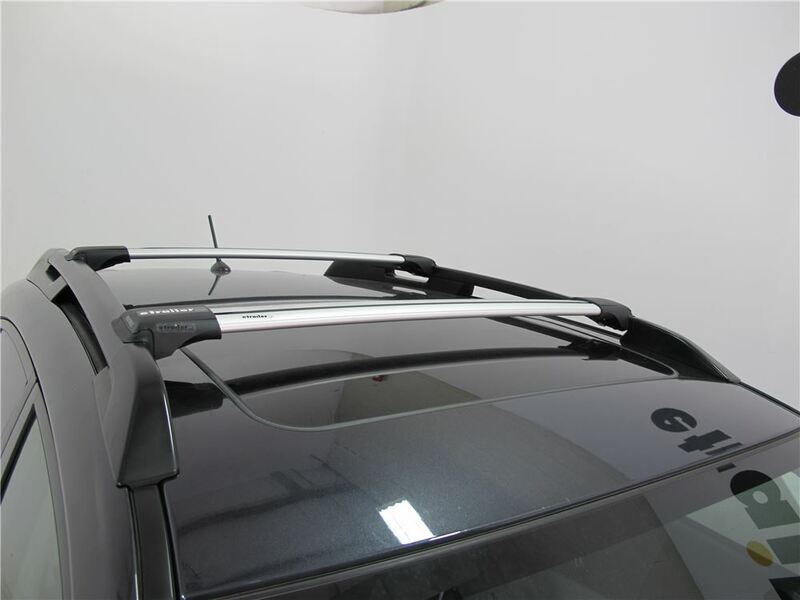 These low-profile, aerodynamic crossbars clamp to your vehicle's raised factory side rails to create the quietest style of roof rack on the market. Lockable aluminum bars provide a from-the-factory look and have built-in slots for accessories. 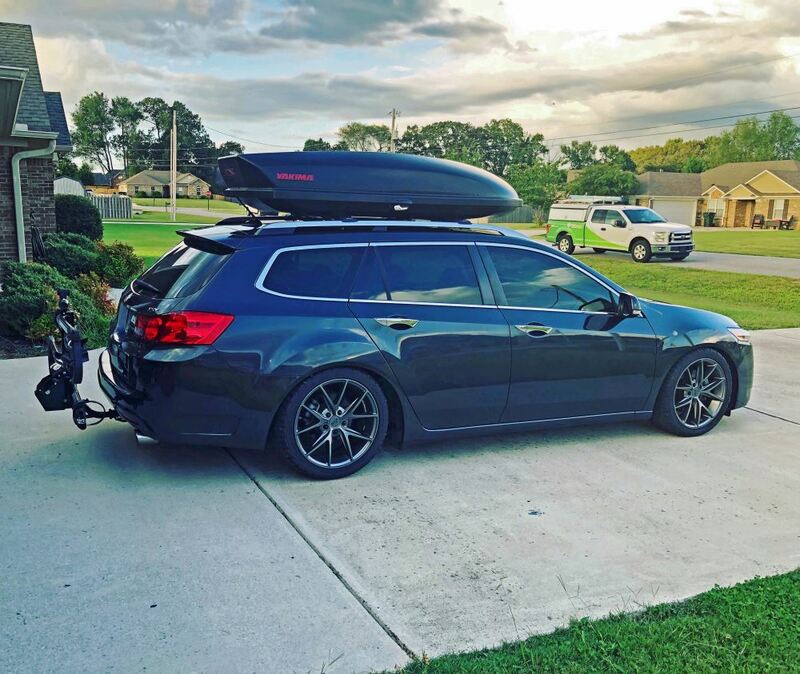 Lowest Prices for the best roof rack from Yakima. 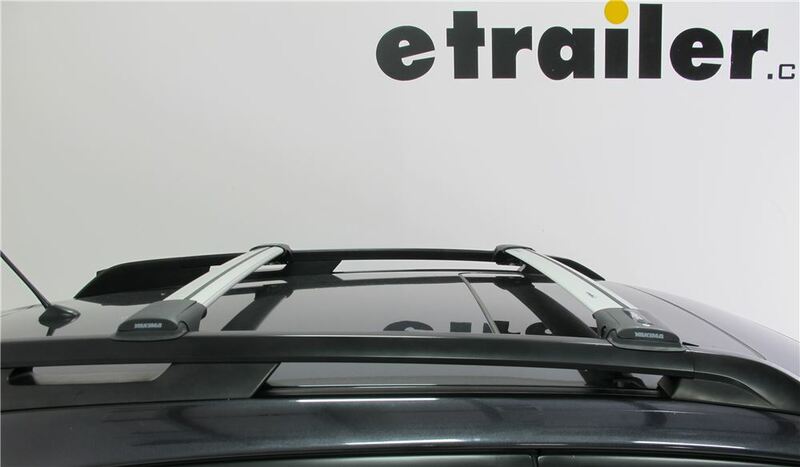 Yakima RailBar Crossbars - Raised, Factory Side Rails - Aluminum - Silver - Qty 2 part number Y00433-0434 can be ordered online at etrailer.com or call 800-298-8924 for expert service. 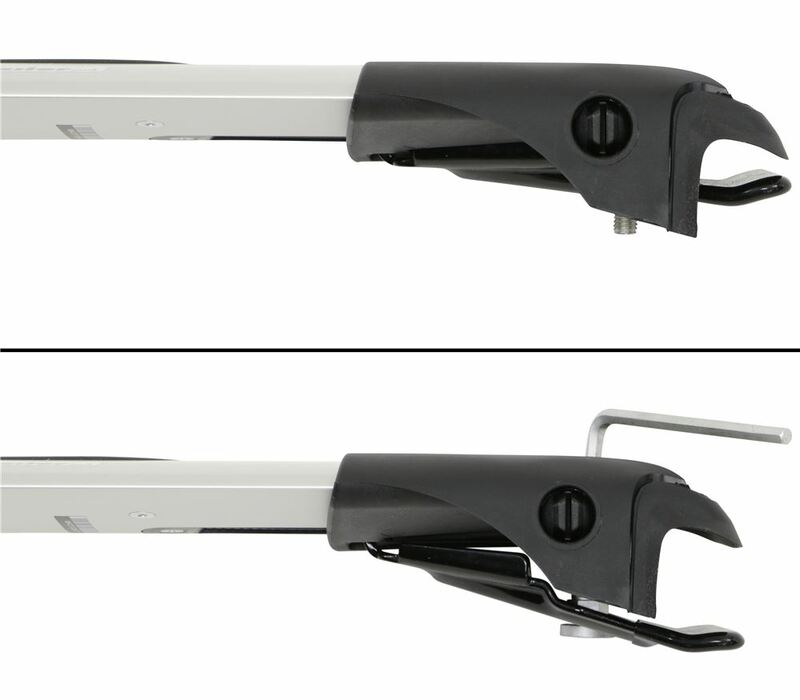 Today we're going to be taking a look at the Yakima RailBar crossbars. 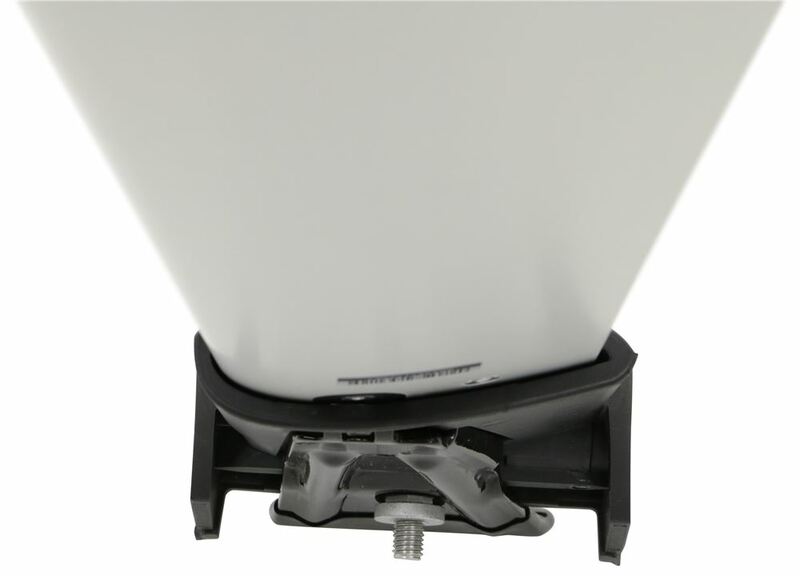 This is a ultra-quiet factory-style bar kit that lets you mount carriers and accessories on the roof of your vehicle. What that means, when I'm talking about ultra-quiet factory-style bars, I mean that there's no elevated profile. These bars are positioned between the factory side rails and not on top of them. They're very aerodynamic. 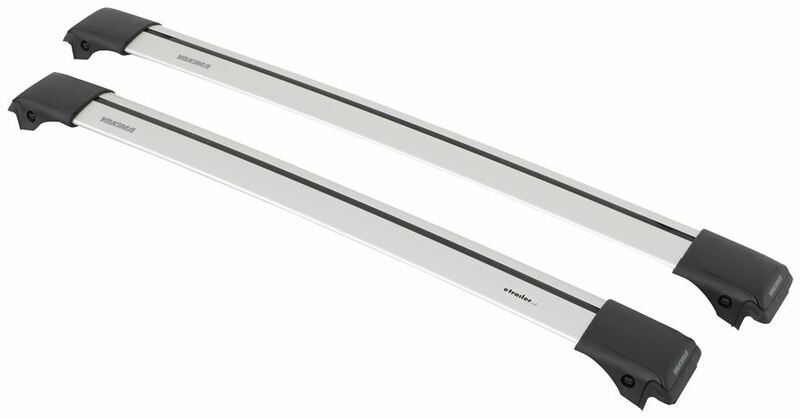 These aerodynamic crossbars are sleek, they're highly functional, and extremely quiet. I want you to notice that right here along the front edge it has this raised ridge. That's a built-in wind diffuser. 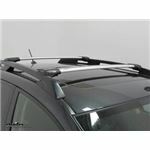 The built-in wind diffuser, along with the tapered wing shape of the bar, dramatically reduces wind noise and vibration. 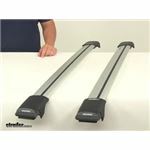 Now these crossbars will accommodate accessories that either mount in the built-in channel or that clamp around the bar. 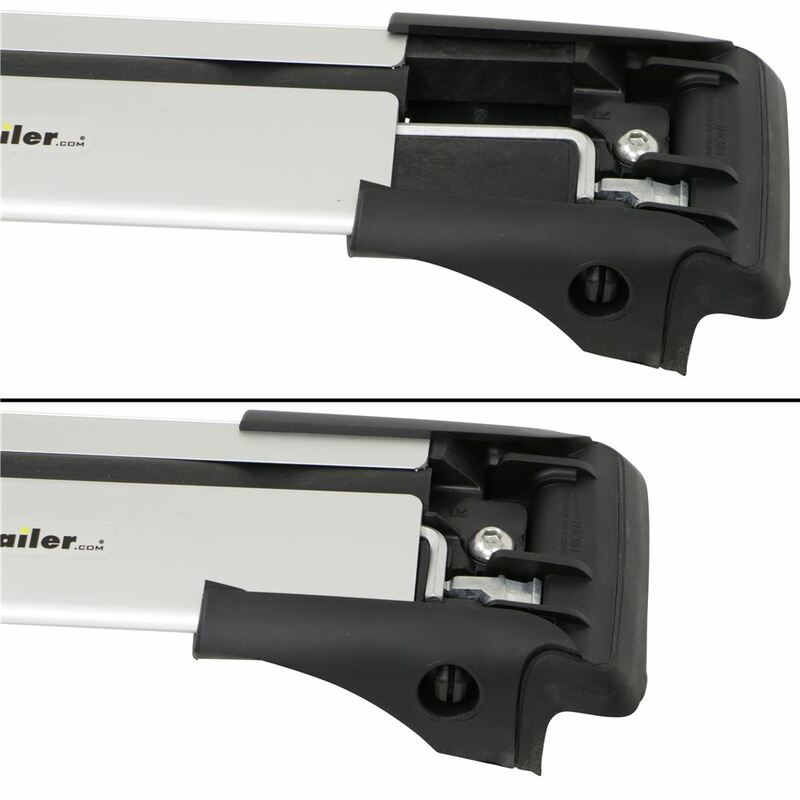 To use the built-in channel, all you need to do is remove the end cap and push down on the rubber strip. 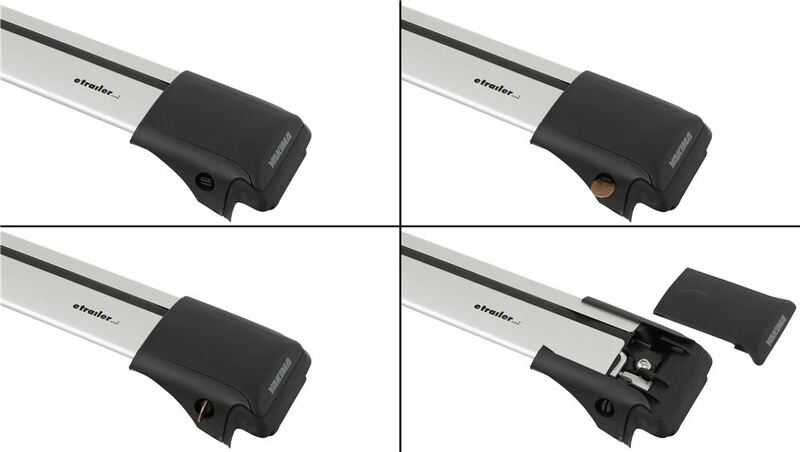 The end cap removes, you push down the rubber strip, slide in your channel-mount accessories. You're can adjust them wherever you need to. There's no trimming or cutting of the rubber strip required. Also want to point out that it's a simple clamp-on installation. It's got this bracket underneath. This is a steel clamp that's coated so it's going to keep from damaging your vehicle's raised side rails. It's got that nice coating on there. It is strong and durable. It's got the seal that goes around here as well. That's going to create a really nice secure fit along the raised side rails of the vehicle. Basically, it's a simple clamp-on installation. The unit features the glass-filled plastic towers with the rubber gaskets that attach to the factory side rails. 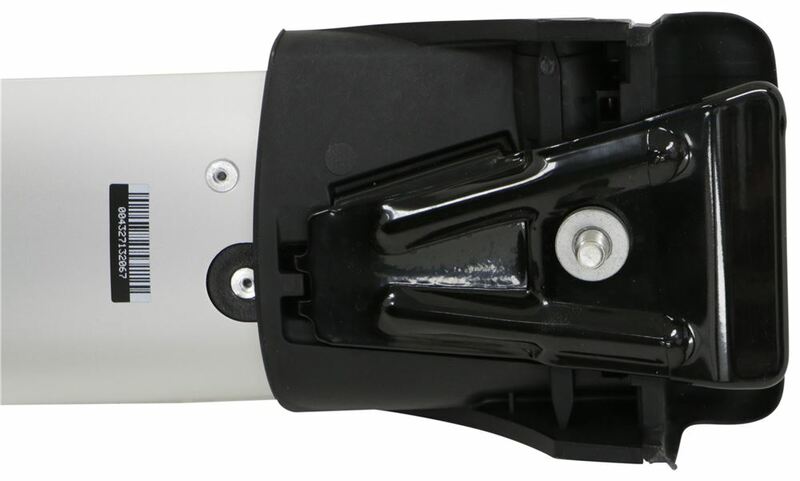 Again, those steel clamps, they have that nice protective coating so it's going to keep from damaging your vehicle's raised side rails. There's no additional equipment required. It does come with the appropriate Allen tool to tighten things down. This is stored right there inside of the tower. To loosen up the clamp you use the tool right there and you just loosen up that bolt. That's going to open up the clamp. That way you can get it to the width you need to fit around your raised side rails. Place that on there. Then once you have it positioned properly, again, you use the included tool to tighten that Allen bolt, which in turn tightens that clamp. Then when you're done with the tool, slides in here. That way it's easily accessible whenever you need to use it, but it's out of the way when you don't. The end cap simply just slides back into place. It's a really nice, easy to use design. Again, no additional equipment required. It comes with everything you need to get it installed. The unit is compatible with same-key system locks. Those are going to allow you to secure the rack to your roof. Now SKS locks are sold separately. They're available at etrailer.com. There's a location on each tower to install the lock core. That's what that point is there. Now on the opposite end you can see it's located right there as well. These bars are made from a durable aluminum construction. They're lightweight and corrosion-resistant and they feature a satin chrome finish that's both durable and good-looking. You're going to get two crossbars. That's have a weight capacity of 165 pounds. When it comes to the dimensions, front to back of just the bar measures 3-5/16". At the thickest point it's only about 1" thick. The bars are covered with a limited lifetime warranty and they're available in a variety of lengths. 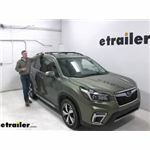 To see all the options available, you can check out etrailer.com. I also want to mention that each tower is able to slide in and out a few inches. That's going to ensure the best fit for your particular vehicle. That's going to do it for today's look at the Yakima RailBar crossbars. 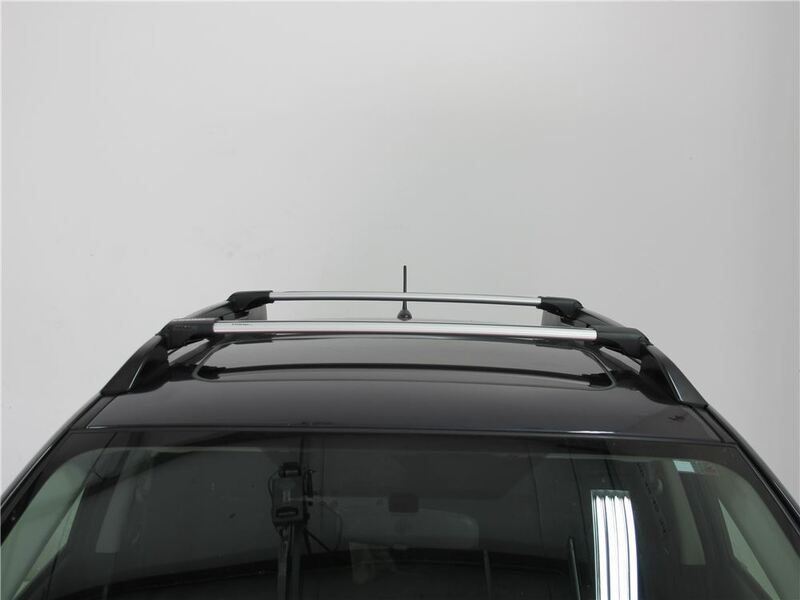 The correct Yakima RailBar Crossbars kit for your 2018 Toyota RAV4 with the raised side rails is part # Y00433-0434. This kit can support up to 165 lbs assuming the vehicle's roof weight capacity meets or exceeds this figure. 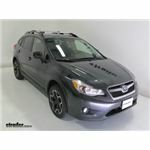 It has a very sleek look that does not extend out past the side rails as you mentioned. I have attached a review video for you on a similar vehicle.